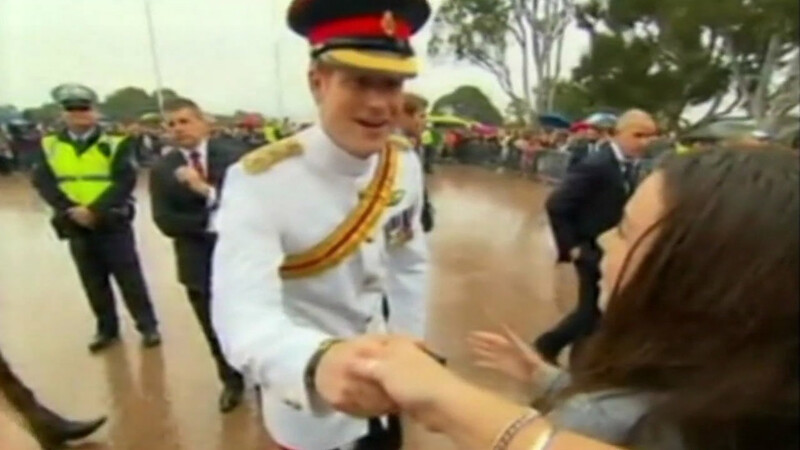 CANBERRA, Australia -- Britain's Prince Harry is revealing how he really feels about taking selfies after a young fan asked if she could snap a photo with him. The 30-year-old royal is apparently not a fan of the selfie craze. He joked with an enthusiastic crowd in Australia on Monday morning. Harry told the teenage girl, "No, I hate selfies. Seriously, you need to get out of it. I know you're young, selfies are bad. Just take a normal photograph!" The British Army captain is in Canberra, starting a month-long assignment with the Australian Defence force.